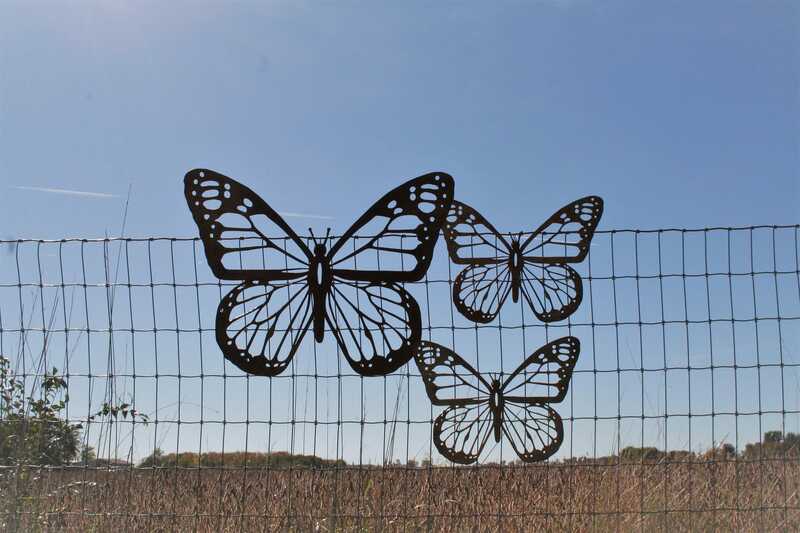 Set of 3 Monarch Butterflies are now available in mixed sizes! 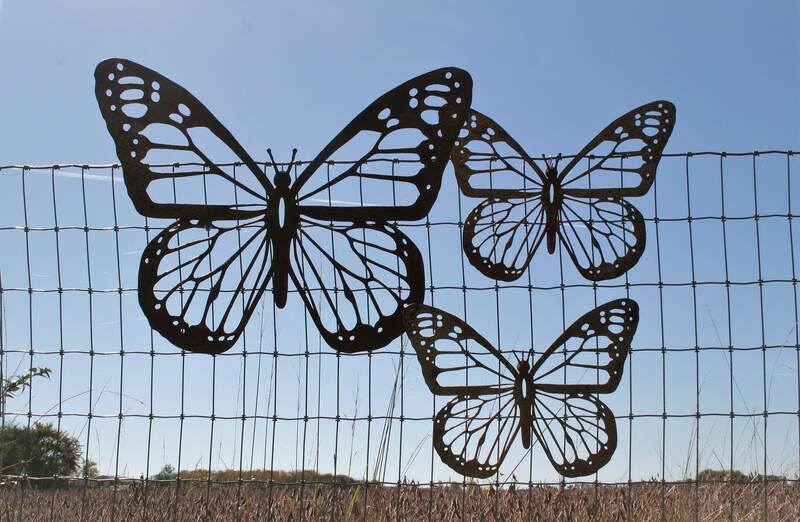 These adorable monarchs will add rustic charm to any garden or backyard! 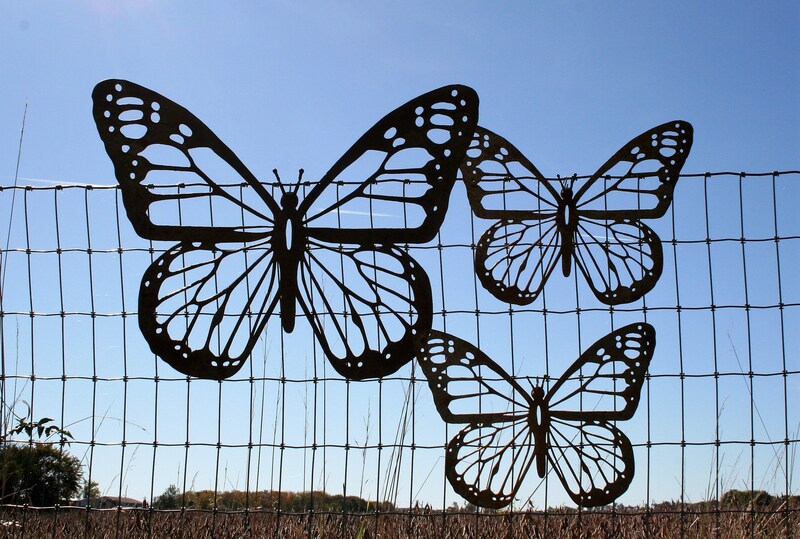 The butterflies are cut from steel just thicker than a nickel. 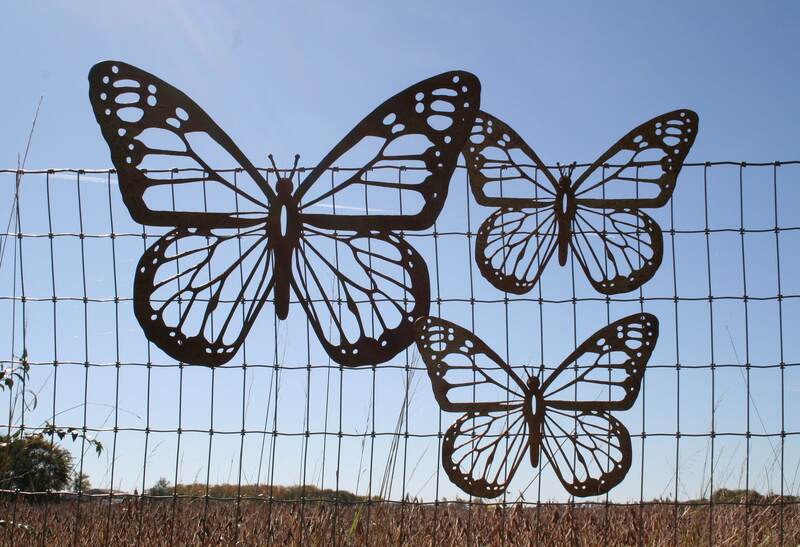 The giant butterfly is 24" wide before it's bent into flying form, and the medium size is 15" wide. Your order will ship as a set of one giant and two medium. Available for a limited time: Order the XXL set of butterflies! 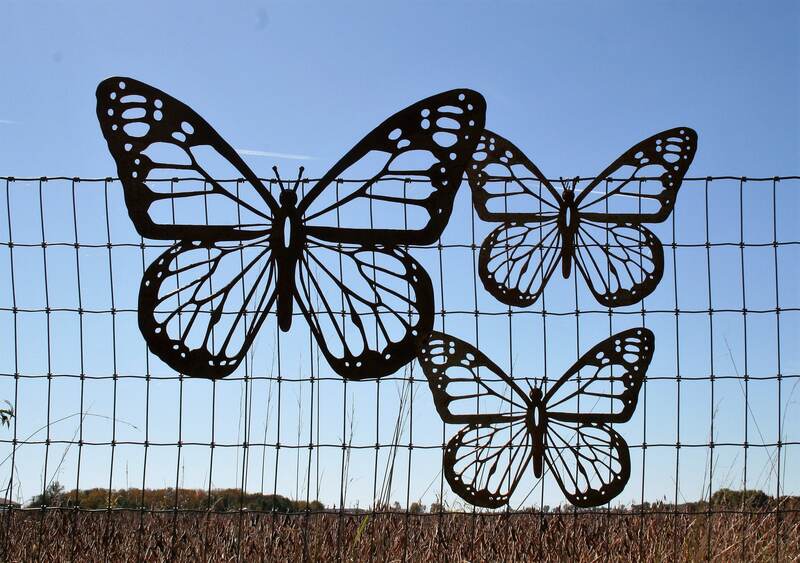 Order includes one 36" butterfly and two 24" butterflies. 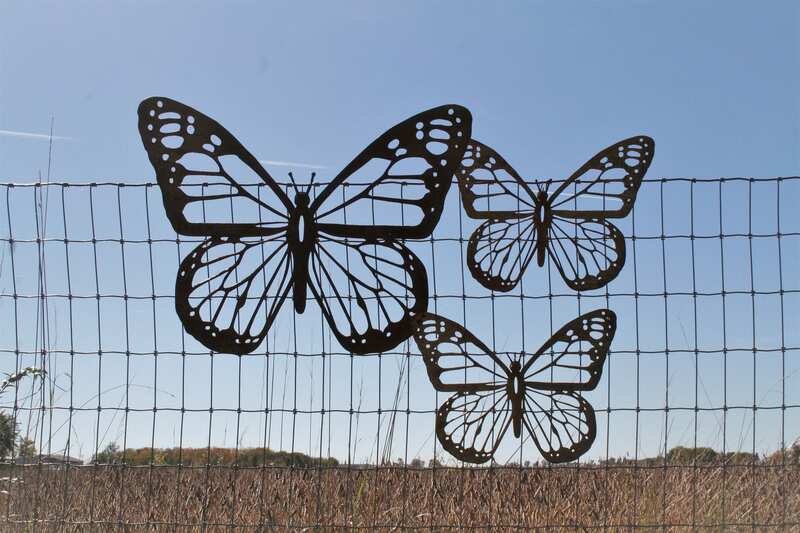 Each butterfly is pre-soaked to begin the patina before it ships. 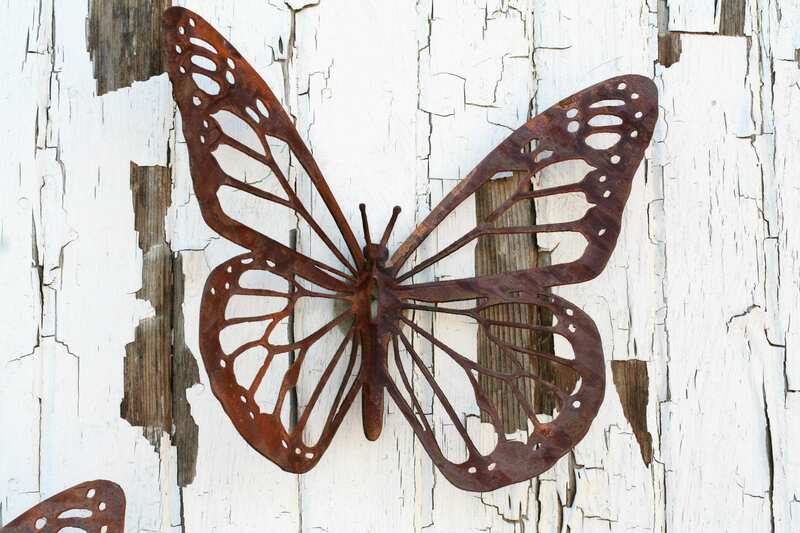 Rustic butterflies are ready to hang on a hook, nail or screw. Hardware will be hidden from the front after installation, but you can also add a small finish nail to install at any angle you like. Ships as a set of 3 monarchs. Click here for our smaller monarchs available in singles or as a set of 3. This is the second set I have purchased, and they are LOVELY! The owner is delightful to work with also!!! Love the weight and finish of these gorgeous butterflies! I bought 6 & scattered them. Received them very quickly & they were packaged well.